2015 Comparative phylogeography of three sympatric macropodid from Huon Peninsula, Papua New Guinea: Implications for conservation and management. McGreevy, T.J., L. Dabek, and T.P. Husband. Mitochondrial DNA. DOI: 10.3109/19401736.2015.1022761. 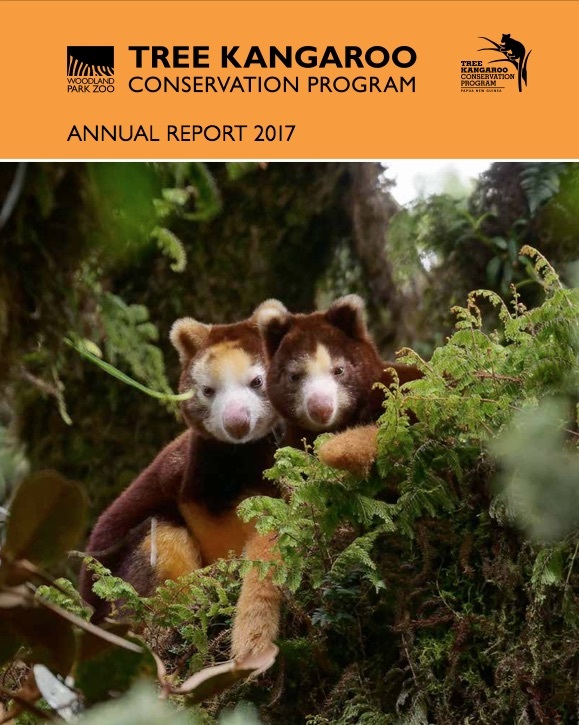 2014 Spatial Requirements of Free-ranging Huon Tree Kangaroos, Dendrolagus matschiei, (Macropodidae) in Upper Montane Forest. Porolak, G., L. Dabek, and A. Krockenberger. PLoS 9(3): e91870. DOI:10.1371/journal.pone.0091870. 2012 Tree kangaroo molecular systematics based on partial cytochrome b sequences: are Matschie’s tree kangaroo (Dendrolagus matschiei) and Goodfellow’s tree kangaroo (D. goodfellowi buergersi) sister taxa? McGreevy, T.J., L. Dabek, and T.P. Husband. Australian Mammalogy. 34, 18–28. 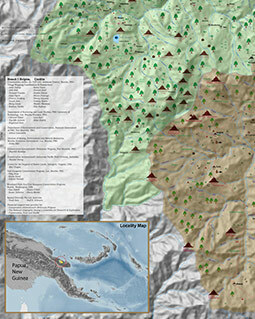 2011 Remote Sensing of Dominant Forest Types for Matschie's Tree Kangaroo Conservation and Planning in Papua New Guinea. Stabach, J., L. Dabek, R. Jensen, G. Porolak, and Y. Wang. In Remote Sensing of Protected Lands (CRC Press, Taylor & Francis Publishers). 2011 Geographic Information Technology enhances Participatory Mapping in the YUS LLG of Morobe Province. Antonio, W and Kuna, K. Department of Surveying and Land Studies, PNG University of Technology, Lae PNG. 2010 A multiplex PCR assay to distinguish among three sympatric marsupial taxa from Huon Peninsula, Papua New Guinea, using the mitochondrial control region. McGreevy, T.J., L. Dabek, T.P. Husband. Molecular Ecology Resources 10: 397–400. 2010 Genetic Evaluation of the Association of Zoos and Aquariums Matschie’s Tree Kangaroo (Dendrolagus matschiei) Captive Breeding Program. McGreevy, T.J., L. Dabek, T.P. Husband. ZooBiology 29 : 1–11. 2010 Microsatellite Marker Development and Mendelian Analysis in the Matschie's Tree Kangaroo (Dendrolagus matschiei).Thomas J. McGreevy Jr; Lisa Dabek; Thomas P. Husband. Journal of Heredity; 101(1):113-118. 2010 A multiplex PCR assay to distinguish among three sympatric marsupial taxa from Huon Peninsula, Papua New Guinea, using the mitochondrial control region. McGreevy, T.J., L. Dabek, T.P. Husband. Molecular Ecology Resources; 10:397-400. 2009 Conservation genetics of Association of Zoos and Aquariums and wild Matschie's tree kangaroos (Dendrolagus matschiei) from Huon Peninsula, Papua New Guinea. McGreevy, TJ. Ph.D. Thesis, School of Natural Resources, University of Rhode Island. 2009 Discrimination of dominant forest types for Matschie’s tree kangaroo conservation in Papua New Guinea using high resolution sensing data. Stabach, J., L. Dabek, Y.Q. Wang, and R. Jensen. International Journal of Remote Sensing 30 (1-2): 405-422. 2009 Genetic diversity in captive and wild Matschie’s tree kangaroo (Dendrolagus matschiei) from Huon Peninsula, Papua New Guinea, based on mtDNA contol region sequences. McGreevy, T.J., L. Dabek, M. Gomez-Chiarri, T.P. Husband. ZooBiology 28: 183-196. 2008 Home range of the Huon tree kangaroo (Dendrolagus matschiei) in cloud forest on the Huon Peninsula, Papua New Guinea. Porolak, Gabriel. Masters of Science thesis, School of Marine & Tropical Biology, James Cook University. 2008 Tree Kangaroo Reconnaissance Survey of three sites in Yamasi and Waro areas of Kutubu, Southern Highlands Province, PNG. Kuna, K and Kinginapi, F.
2007 Conservation GIS: Utilising GIS in Boundary delineation and species inventory in the remote YUS region, Morobe Province, PNG. Kuna, K.
2005 Utilizing remote sensing technologies to identify Matschies's tree kangaroo (Dendrolagus matschiei) habitat. Stabach, J.A. Master of Science thesis, University of Rhode Island. 2004 A Biological Assessment of the Huon Peninsula, Papua New Guinea. Dabek, L. and W. Betz (editors). (unpublished manuscript). 2004 Identification of Huon tree kangaroo (Dendrolagus matschiei) habitat in Papua New Guinea. Pugh, J., L. Dabek, and Y.Q. Wang. (unpublished manuscript). 2003 Molecular genetics of endangered captive and wild Matschie's tree kangaroos (Dendrolagus matschiei). McGreevy, TJ. Master of Science thesis, University of Rhode Island. 2001 Conservation Partnerships. Dabek, L. In C.Bell, Editor, Encyclopedia of the World Zoos. Fitzroy, Dearborn, Chicago, Volume I: 304-305. 1998 Tree Kangaroo Conservation in Papua New Guinea. Dabek, L. and W. Betz. Endangered Species Update 15(6): 114-116. 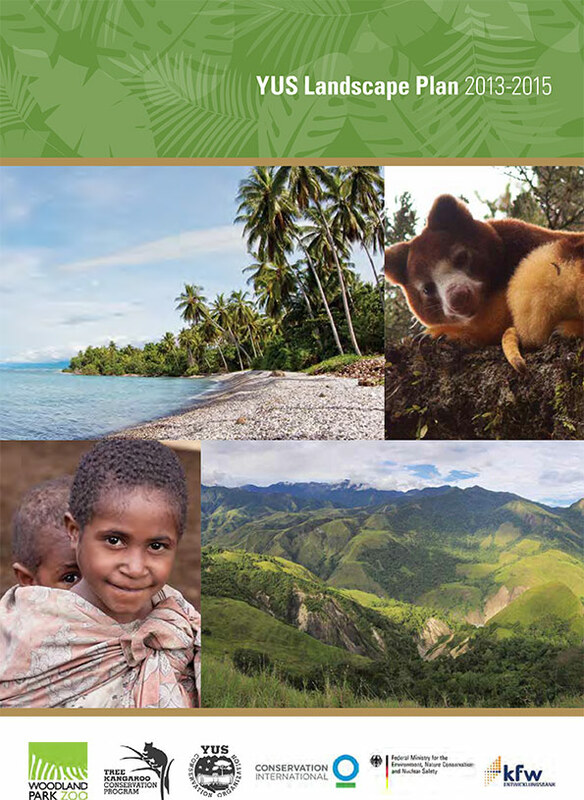 2015 Mission tree kangaroo: A community-based approach to conservation in Papua New Guinea. Presentation at the 27th International Congress for Conservation Biology. Dr. Lisa Dabek. Montpellier, France. 2015 Supporting YUS Rangers to strengthen local ownership of conservation efforts in Papua New Guinea. Presentation at the Zoos & Aquariums Committing to Conservation Conference 2015. Mr. Daniel Okena. Denver, Colorado, USA. 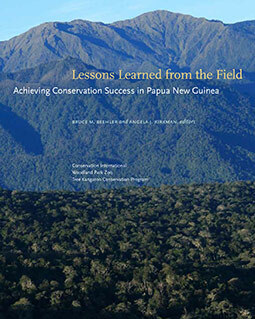 2014 Reaching towards sustainable financing and governance of an Indigenous-owned and managed protected area in Papua New Guinea. Presentation at the IUCN World Parks Congress 2014. Dr. Lisa Dabek. Sydney, Australia. 2013 Successes of Land Use Planning (LUP) in the YUS Conservation Area Landscape. Presentation at SPREP’s 9th Pacific Islands Conference on Nature Conservation and Protected Areas. Karau Kuna. Suva, Fiji. 2013 Building Resilience for a changing Pacific, NATURAL SOLUTION, 9th Pacific Island Conference on Nature Conservation and Protected Areas. Benjamin Sipa. Suva, Fiji. 2012 Using GIS and participatory planning to engage landowners for conservation of land and sea. Presentation at the 2012 Oceania Society for Conservation Biology Conference. Karau Kuna. Darwin, Australia. 2012 Managing Conservation on Customary Land, presentation to the Society for Conservation Biology Conference. Benjamin Sipa. Darwin, Australia. 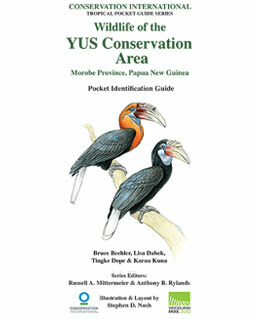 2011 Lessons learned: Confirming boundaries of the YUS Conservation Area. 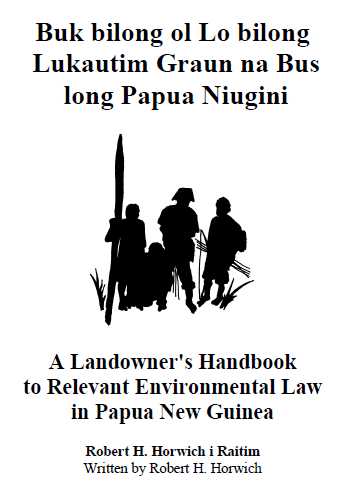 Presentation to PNG Department of Environment and Conservation and NGO sector. Karau Kuna. Port Moresby, PNG. Congress for Conservation Biology workshop. Karau Kuna. Auckland, New Zealand. 2011 Natural resource use, management and planning. Presentation to The Nature Conservancy (TNC) and Community-based organisations. Karau Kuna. Madang, PNG. 2011 YUS Conservation Coffee Project Scope in Partnership with Woodland Park Zoo and Caffe Vita. Benjamin Sipa. Seattle, USA. 2010 Morobe District Administrators Conference. Presentation to Morobe Provincial and District government officials, Karau Kuna. Lae, PNG.